We have collected and analyzed 164 expert reviews and 3628 user reviews from international sources. Experts rate this product 85/100 and users rate it 95/100. The average review date is May 20, 2016. We have compared these reviews to 707516 reviews from other Tablet Computers. The alaScore™ for this product is 95/100 = Excellent. Last update: Apr 20, 2019.
alaTest has collected and analyzed 79 user reviews of Apple iPad Pro 12.9-inch (1st gen 2015) from Amazon.co.uk. The average user rating for this product is 4.6/5, compared to an average user rating of 4.3/5 for other products in the same category on Amazon.co.uk. People are impressed by the price and screen. The performance and design also get good opinions, but comments are divided on the reliability. 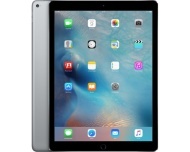 alaTest has collected and analyzed 7 user reviews of Apple iPad Pro 12.9-inch (1st gen 2015) from Amazon.ca. The average user rating for this product is 5.0/5, compared to an average user rating of 4.2/5 for other products in the same category on Amazon.ca. People are impressed by the screen and usability. The performance and price are also mentioned favorably, whereas there are some mixed comments about the portability. Comparisons and Conclusions We've seen iPads before. We've seen keyboard cases. We've even seen lots of styli. But as happens so often, Apple has remixed existing elements into something new, driven by design, ease-of-use, and compelling third-party apps. Our iPad Pro was delivered this morning, and while we're still working on the review, a few things became immediately clear.